After delivering seminars all over the world, I realized how unique the knowledge I have really is. So I decided to share my ability, to help people become successful in what I view to be the greatest marketing era in humanity’s history. I’ve built several million-dollar businesses. It can be done. Now I want to show you how. Stay tuned for tools and strategies you can use right now to build your brands and increase revenue! Organic Content on Facebook & Instagram... Is it still necessary? This episode is an interview done by my good friend Ben Cummings on his podcast The Elevated E-commerce Guys. If you are an Amazon seller pay attention. If you’re not, still pay attention because the Spanish market opportunity applies to everyone out there that has a business and wants to take advantage of opportunities in social media marketing and platforms like Facebook and Instagram. This is the entire audio for a seminar I did in November 2018 directed to a crowd of old school marketers with agencies primarily focused on media mail. It was a very interesting seminar and I believe you will find some great value in it that you’ll be able to implement for your business in this 2019 year. Here’s a segment from my recent trainings on the importance of getting help. Without it, you can’t scale. And there’s plenty of it out there. You can hire someone to help you run your Facebook Ads, YouTube marketing, Amazon optimization and pretty much everything in between. Here are the places mentioned on this podcast: fiverr.com, freeeup.com/manuelsuarez, 20four7va.com. This is a rant on a KEY factor... GETTING PREPARED to conquer to world through your business. If you get EDUCATED you can WIN. If you don’t, you WON’T. It’s as simple as that. Social media advertising results depend on what you KNOW and the amount of energy you implement in regards to that new found KNOWLEDGE. There’s a ton of opportunity. Opportunity that you can use if you know what you’re doing. Facebook advertising is one of those opportunities. Keep on learning and you will keep on improving. The opportunity today is not a usual one. Most people take it for granted. If you’re here listening to this podcast, consider yourself part of a unique group of AWOKEN people that understand how unique this era is. An era where Facebook and Instagram advertising is just in its early stages. 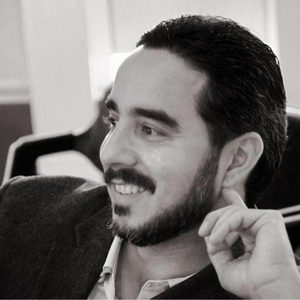 On this podcast, I get practical in the world of retargeting. If you don’t learn about this I can pretty much assure you, you will not find success. I was on fire on this podcast and I delivered solid gold on it. Learn about the different audiences you should be creating and how to go about creating them. In this podcast I will go over the most important factor to success on social media: PATIENCE I will also give you my strategy that I’m implementing across all accounts to ensure that we can scale our winning Facebook Ads and turn off losers. It requires a system and it requires PATIENCE. WIth those 2 elements in play you will eventually achieve success in your Facebook Marketing endeavor. Who Are Facebook Ads For? The Facebook Algorithm - How It Works? The Opportunities Keep Coming! IGTV is HERE! Today is the DAY! 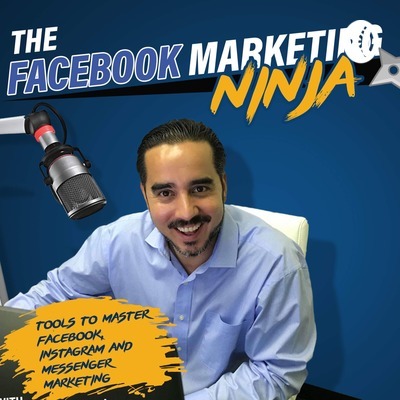 Facebook Ninja Webinar! What is A Facebook Page? And Why Should I Pay Attention? How Facebook Determines What To Charge An Advertiser? What's The Cost of Advertising In Facebook? Is Facebook Advertising a Fad or Is It Just Getting Started? 93% of Facebook Advertisers Fail - Why?